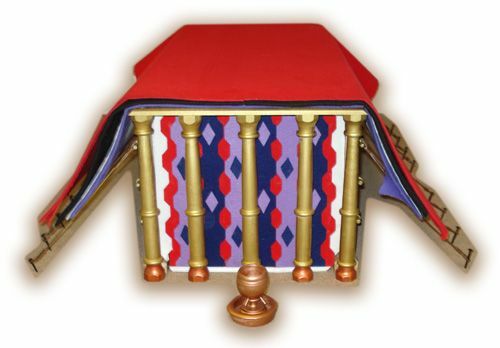 While dimensions were given as it regarded the linen and the goats’ hair coverings, no dimensions are given regarding the rams’ and badger skin coverings. The two inner layers (cherubim and goat) are curtains. While the two outer layers (rams’ skin and badger skin) are called coverings. 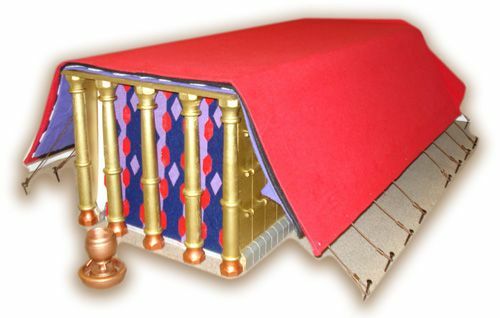 And even though dimensions are given for the first two curtains, no dimensions are given for the two outer coverings. The ram is the animal of substitution. It takes the place of another, as seen in the story of Abraham and Isaac. The ram was used in the Trespass Offering (Leviticus 5:15), Burnt Offerings (Leviticus 8:18) and the Peace Offerings (Leviticus 9:4). It is also called the “Ram of Consecration” (Exodus 29:15-22). The ram was used in the consecration of the priest to minister (Leviticus 8:22). These rams’ skins, being tanned, were dyed red, and probably resembled the leather still sold in Syrian towns. The Israelites would find no difficulty in supplying them, since they were rich in flocks and herds. The rams’ skins covering, then, foreshadowed Christ as the head of His people (the “sheep”) perfectly consecrated to God. As a child it was the Father’s business which occupied Him (Luke 2:49). “I must work the works of Him that sent Me” (John2:17). But the rams’ skins were “dyed red,” which pointed to bloodshedding. Not only did Christ live for God, but He also laid down his life in obedience to the Father’s command (John 10:18). I am currently studying Ministry at Point University and I would love to receive information on anthing about the Old Testament in refrence to Jesus and how the Tabernacle of meetings leads us to information on the coming of Christ.